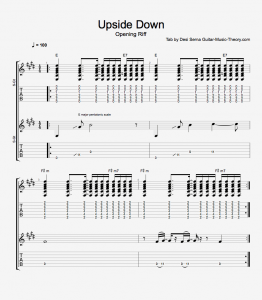 In this free video guitar lesson, you learn how to play a few parts from “Upside Down” by Jack Johnson. 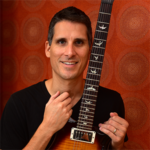 The opening acoustic guitar riff uses the E major pentatonic scale, and the chords and chord progression are straight out of the E major scale. The chord changes also feature a nice syncopated sixteenth note strum pattern. 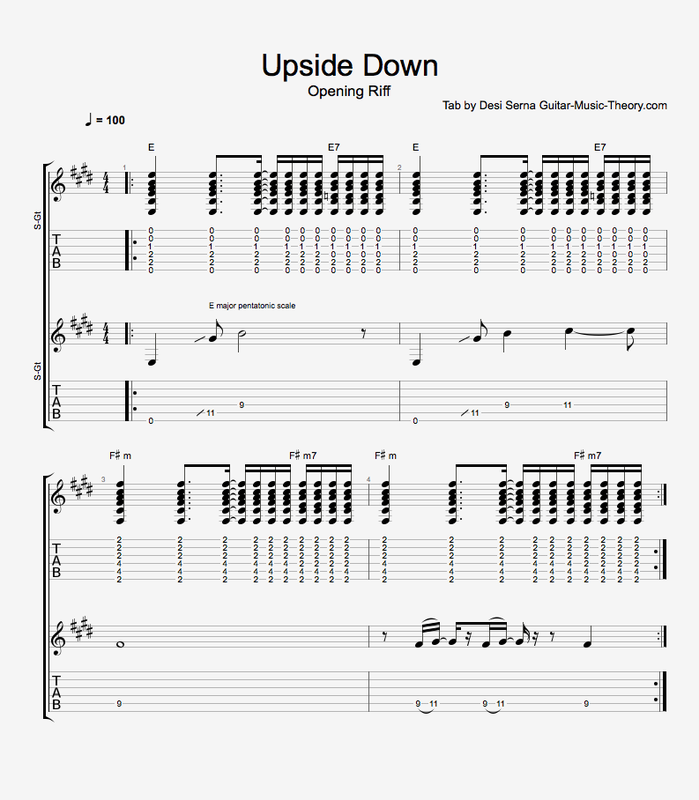 Follow along with free Upside Down guitar tab by choosing from the notation options below.